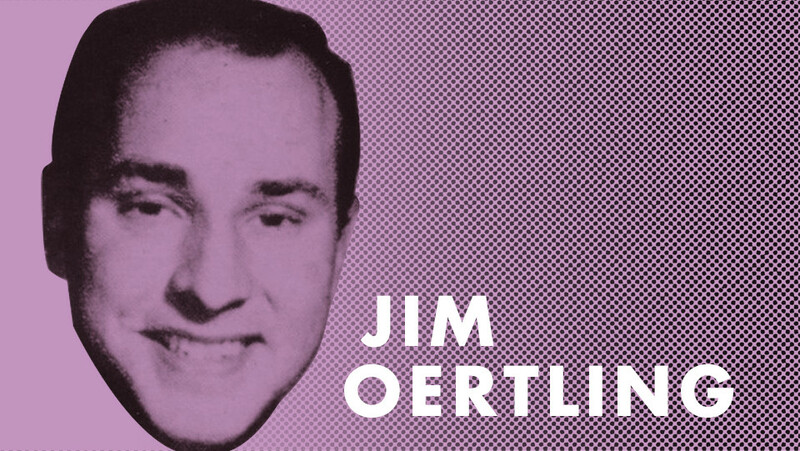 “The show must go on,” and rockabilly legend Jim Oertling is the personification of that mantra. The historic floodwaters that have devastated huge swaths of south Louisiana came within just 6 inches of his home north of New Orleans in the rural St. Tammany Parish hamlet of Goodbee. The towns to his west, from Robert to Albany to Livingston and beyond, look “like a disaster area,” he laments. Nevertheless, Oertling — who vanished from the music scene for decades before being reeled back in via the 2015 Ponderosa Stomp and its ravenous fans hungry for his early songs — is slated to perform this Saturday night at the Ace Hotel in New Orleans. Oertling’s greatest musical claim to fame, of course, is his epic 1963 fish tale “Old Moss Back,” about one Louisiana fisherman’s never-ending battles with an elusive largemouth black bass. The rollicking tune’s themes of unflinching determination and courage in the face of a brutal and indefatigable foe could almost serve as an anthem for Louisiana’s thousands of flood survivors, some of whom have suffered more than one such catastrophe in their lifetimes (e.g., Hurricane Katrina, Hurricane Rita, etc.). The Louisiana native spent his formative years in San Antonio but immersed himself in swamp culture during long summer vacations at his grandfather’s house in Bayou Lacombe, where he conceived the idea for “Old Moss Back.” Oertling was a student at Louisiana State University in 1963 when he entered Cosimo Matassa’s famed New Orleans recording studio to cut his biggest song. Matassa “was a good friend of mine,” Oertling says, crediting the eventual Rock and Roll Hall of Fame sound engineer with encouraging him to write songs in his early days. 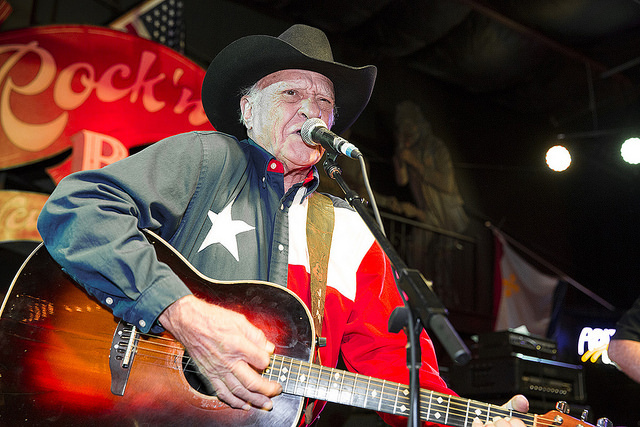 “Old Moss Back” became a sleeper hit for Oertling, getting radio and jukebox play everywhere from San Antonio to the Mississippi Gulf Coast, and its popularity helped keep his band booked nonstop. However, the song failed to score a national distribution deal. 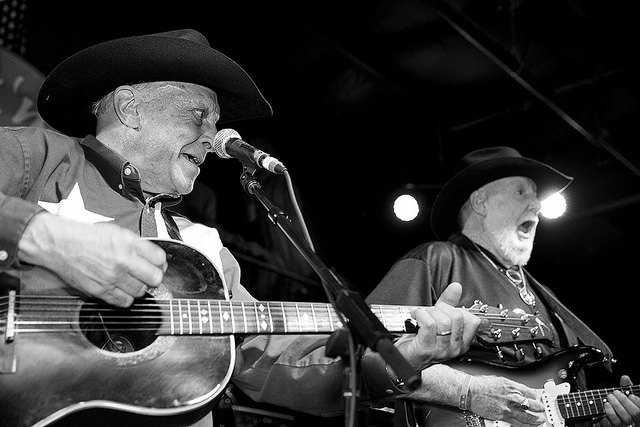 Oertling’s performance at the 2015 Ponderosa Stomp — which marked his first major appearance since meandering into nonmusical pursuits — was a revelation for the garrulous good ole boy as much as his fans. 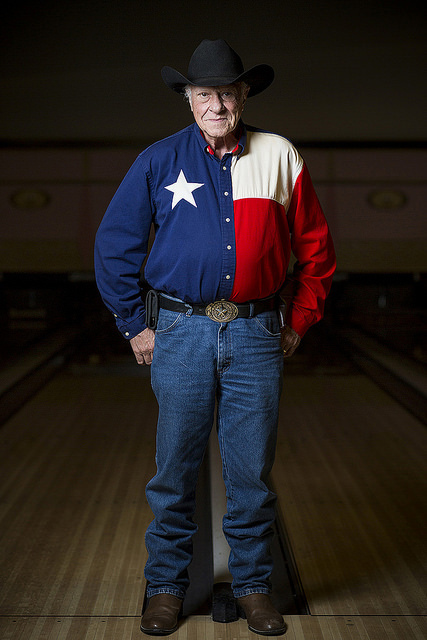 Unable to find local gigs because of the waning mass-market popularity of classic country, Oertling was amazed to meet fans at the Rock ‘N’ Bowl who had come from all over the world just to hear him and drink a few beers together. But “country and cowboy music” is just as much in Oertling’s blood as rockabilly. He cites the lasting influence of two legendary radio stations from his youth: KWKH-AM in Shreveport, which broadcast “The Louisiana Hayride,” and WSM in Nashville, which featured the music of the Grand Ole Opry. 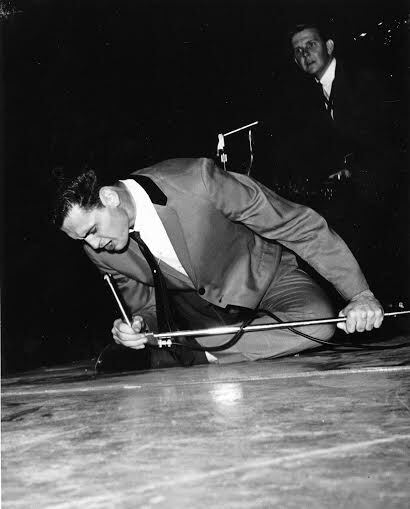 Roy Head worships the mike in the 1960s. Other Texas inspirations for Oertling include Marty Robbins as well as the great R&B shouter and stage dynamo Roy Head, who played at the 2015 Stomp on the night after Oertling’s set. “I played a show with him at Edison High School in San Antonio,” when Oertling was still in high school and fronting a band called the Sidewinders, after the rattlesnake. The Ponderosa Stomp is stoked about Oertling’s Aug. 20 performance at the Ace Hotel, where he will be joined by fellow guitarists Paul “Lil Buck” Sinegal, who hails from the flood-hit Cajun/Creole regions around Lafayette, and E.J. Matthews of Texas. DJ Pellegrin of WWOZ also will be spinning rare 45s. Besides playing the obligatory “Moss Back,” Oertling also will offer up another fish saga, “Perch-Jerkin’ Fool.” In the meantime, though, he’s counting his blessings for having escaped the floodwaters that rose from the nearby Tchefuncta River. “I think Moss Back probably swam by the house,” he jokes.